It is with great pleasure that Marbella International University Centre announces the appointment of Dr. Beata Fröhlich, LLM (UCL), International Arbitration Expert, effective May 21, 2018. A fully qualified lawyer registered with the Bar Association, Professor and Complaints and Appeals Officer at MIUC, she is also a visiting lecturer of LLM programme at Centro de Estudios Garrigues in Madrid. Before moving to Spain, Dr. Fröhlich was a Postdoctoral Fellow at McGill, Montreal, Canada in the field of international commercial and investment arbitration and a Visiting Scholar at Columbia Law School, New York, United States. Dr. Fröhlich holds a PhD in Law. She completed and was awarded an LL.M. in Commercial Law from University College London, an LL.M. degree from Vilnius University and has participated in an Exchange Programme where she studied EU and International Law in Vrije Universiteit in Brussels. Dr. Fröhlich has been awarded a Postgraduate Diploma in EU Competition Law from King’s College London, and a Practice Diploma in International Joint Ventures from College of Law of England and Wales, and has completed an international commercial and investment arbitration programme at the International Academy for Arbitration Law in Paris. Dr. Fröhlich is the recipient of the Swiss Arbitration Academy Grant, and has been awarded the Certificate of Advanced Studies in Arbitration of the Universities of Lucerne, together with the University of Neuchâtel as well as the Swiss Arbitration Academy (SAA) and the Arbitration Practitioner (ArbP) diploma issued by the SAA. Dr. Fröhlich was a speaker at Post-Doctoral School 2016 at Max Planck Institute Luxembourg, and she is Regional Representative for YIAG 2016/2019. Dr. Fröhlich was a visiting lecturer in Moscow Lomonosov State University and she gave a lecture on a Theory of Precedent in International Commercial and Investment Arbitration at Columbia Law School, New York, United States. Dr. Fröhlich was an Associate in the Dispute Resolution practice group in Motieka & Audzevičius in the Baltics. Always active in the professional network, Dr. Fröhlich enjoys making new professional acquaintances, and, in addition to all her duties, she continues to write articles on issues arising in international commercial and investment arbitration. Dr. Fröhlich is fluent in English, Russian, Polish, Spanish, and Lithuanian. 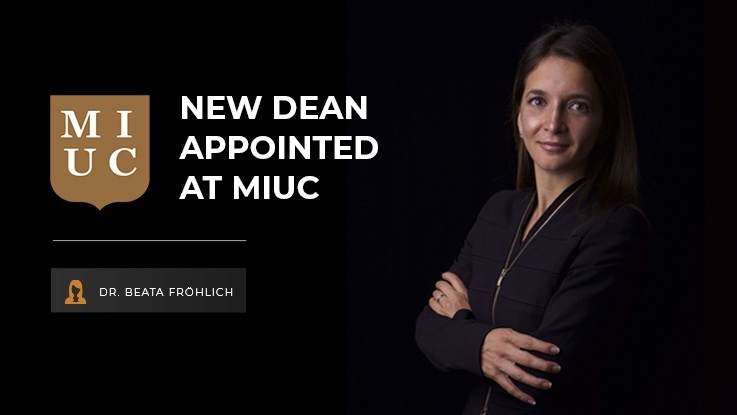 MIUC is honoured to welcome Dr. Beata Fröhlich and wishes her great success in her new position.